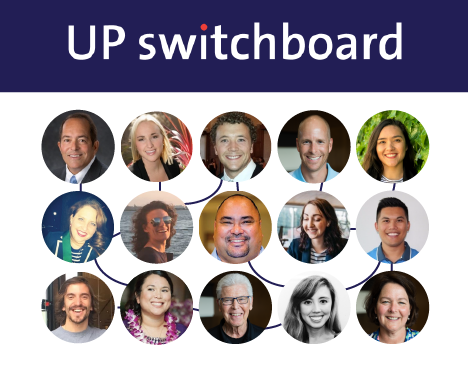 UP Switchboard is the best way to connect with fellow Pilots near and far about everything from career networking to travel tips! Use UP Switchboard to ask for what you need and offer what you have! Switchboard is an online platform that makes it simple for UP students, alumni, parents, and community members to easily connect with one another for the purpose of asking for help and offering support in areas such as career networking, hosting, housing, advice, and events. Click here to sign up for Switchboard and start connecting!